This is the song that is suppose to bring Whitney Houston back to the top of the pop charts. Written by Singer/Songwriter Alicia Keys and Mega Producer Swizz Beats. It has hints of old school flavor with a base of new school. I'm diggin' it by the way! What do you think? Pop Charts wonder or R&B chart Dud? 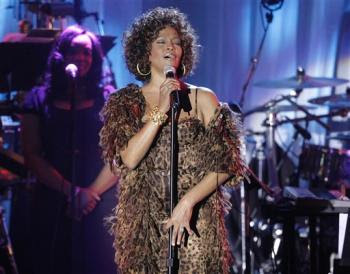 Listen - Whitney Houston - "Million Dollar Bill"